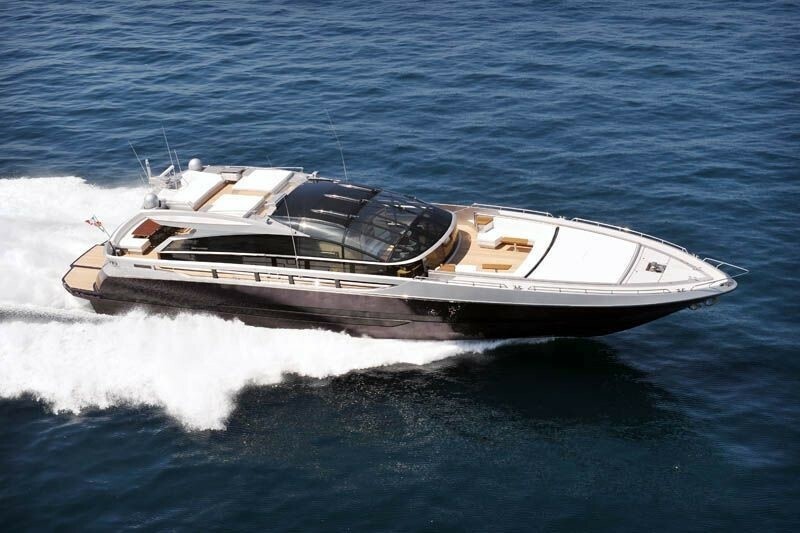 Luxury motor yacht ASTRO is a 2010 model Baia, 31.00m (101' 8") in length. 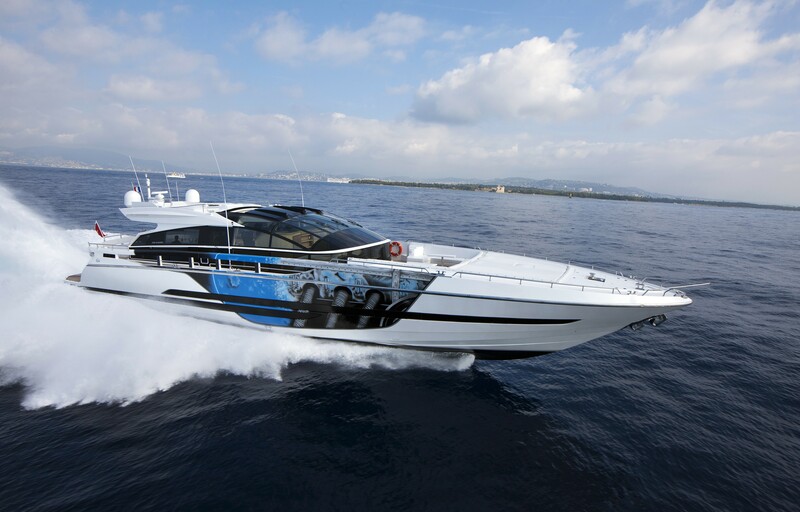 This fast open cruiser perfectly combines strong sporting lines with a sleek interior to offer supreme luxury and comfort. 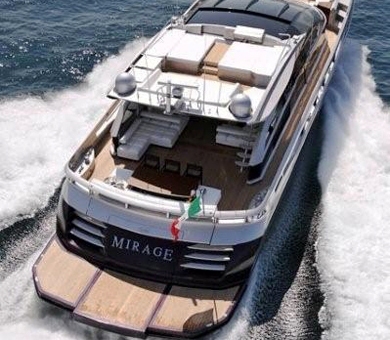 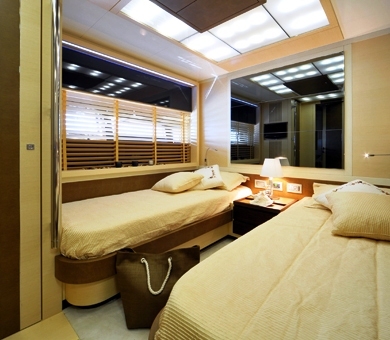 She is able to accommodate up to 10 guests in 2 double and 2 twin cabins and is based in the Mediterranean. 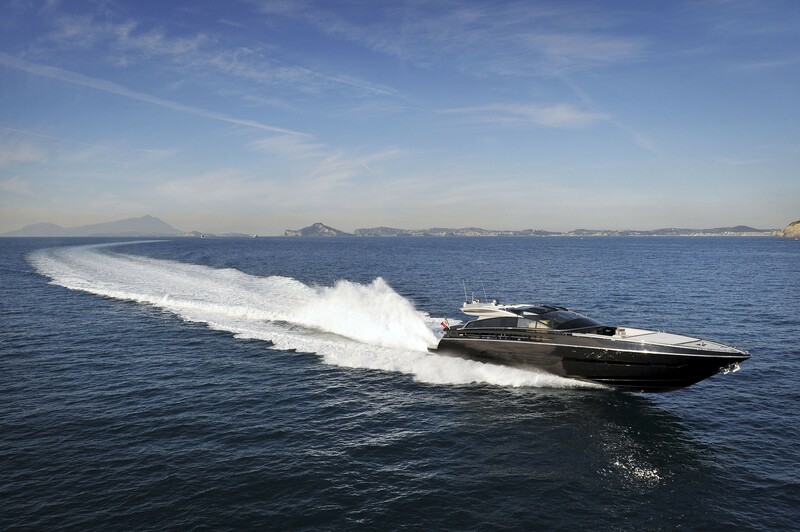 The open cruiser ASTRO (ex MIRAGE) is one of the fastest yachts in the world, reaching top speeds of 50 knots thanks to her three top of the line MTU engines with 2,430 hp each and arneson drives. 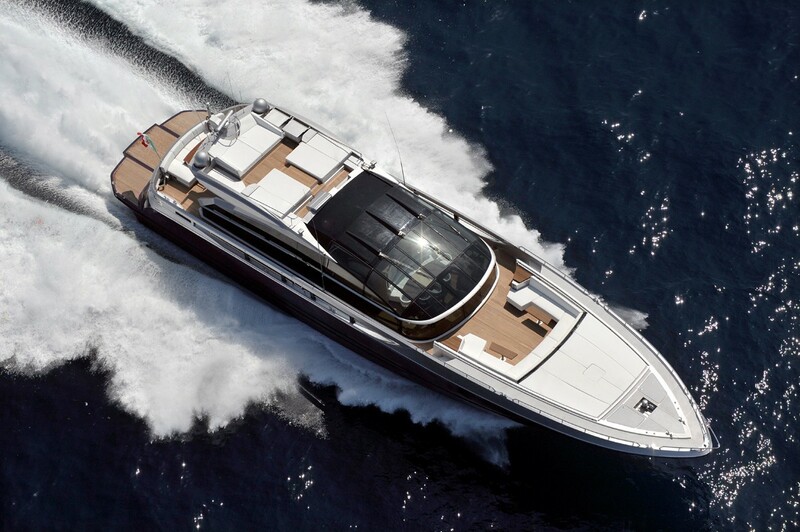 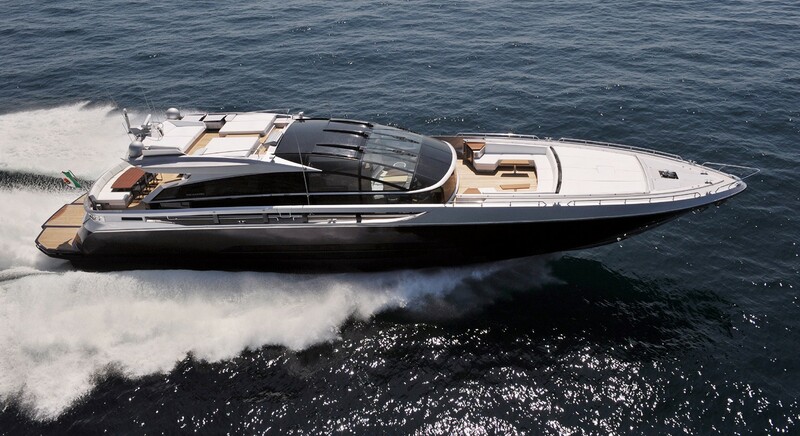 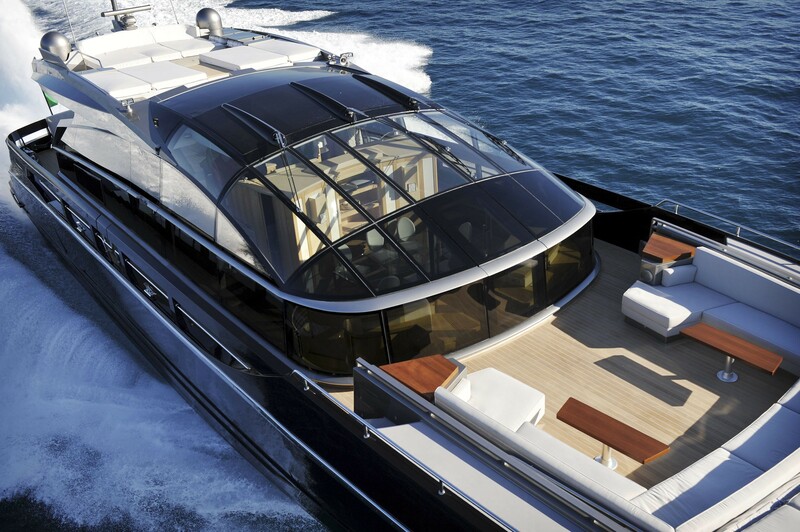 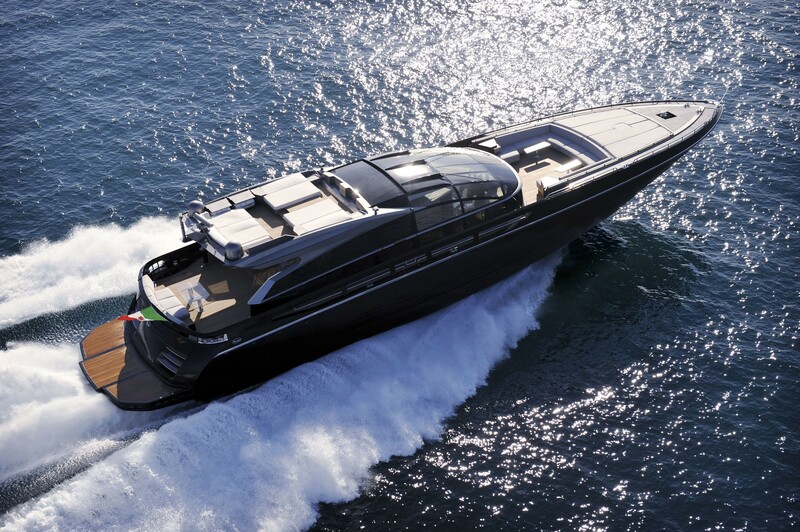 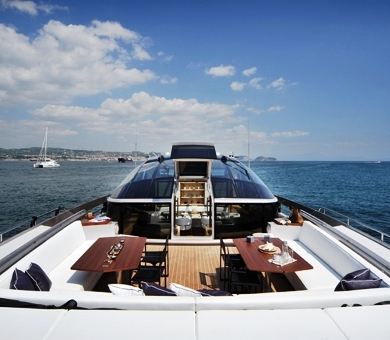 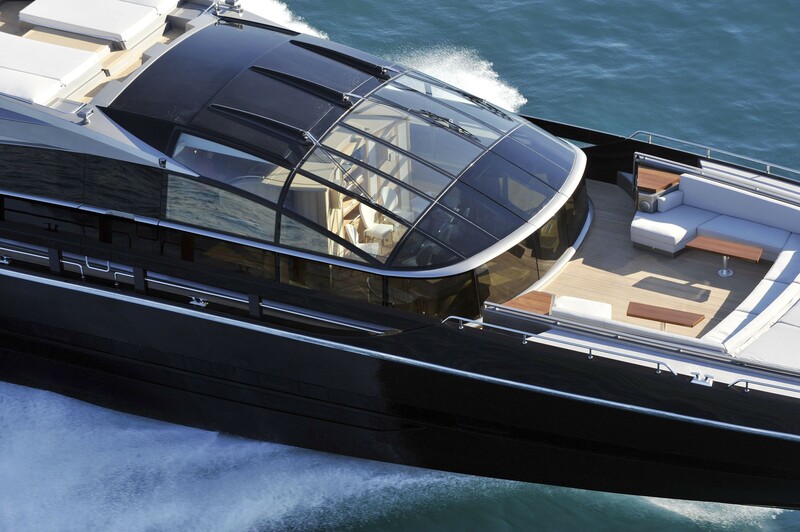 This motor yacht has phenomenal power, speed and grace. 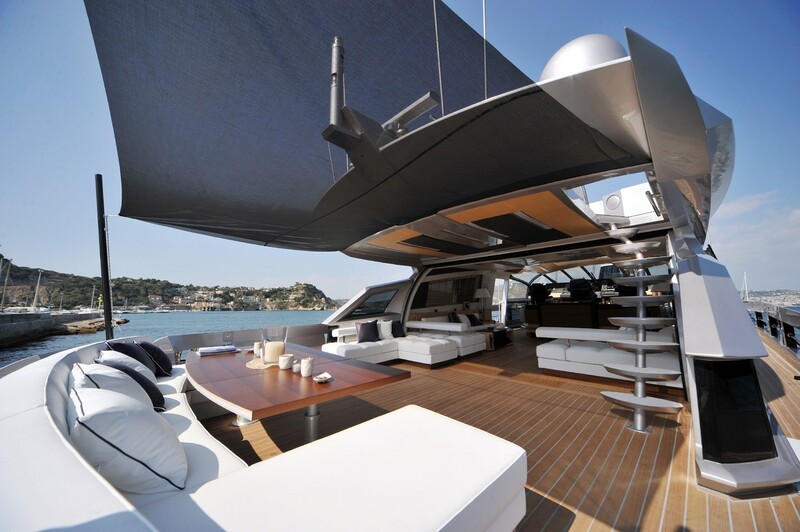 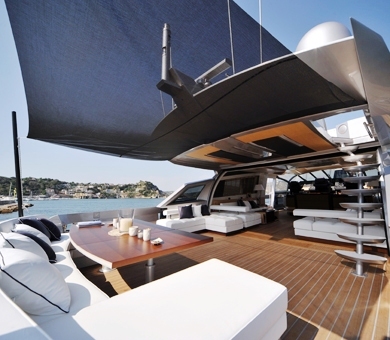 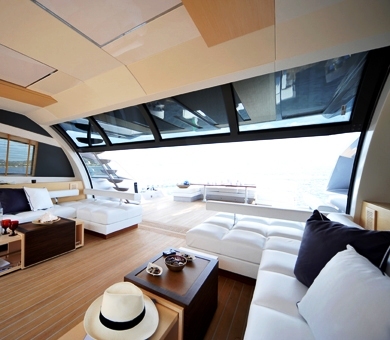 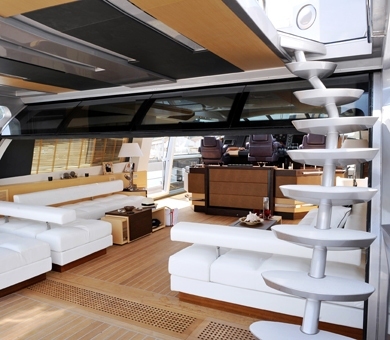 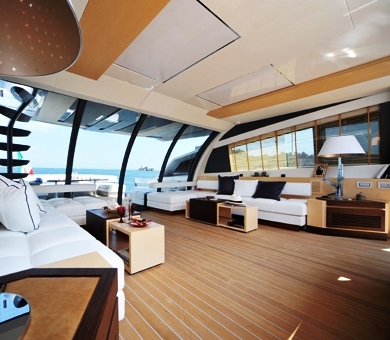 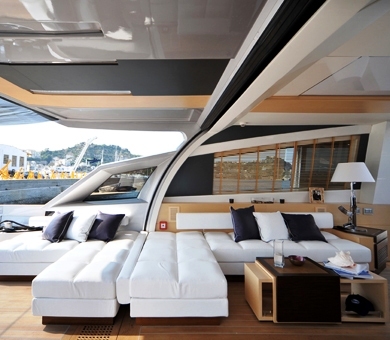 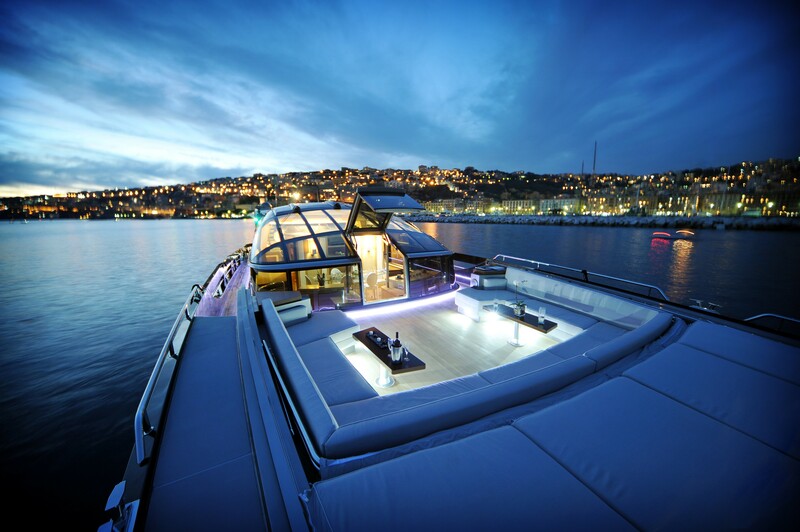 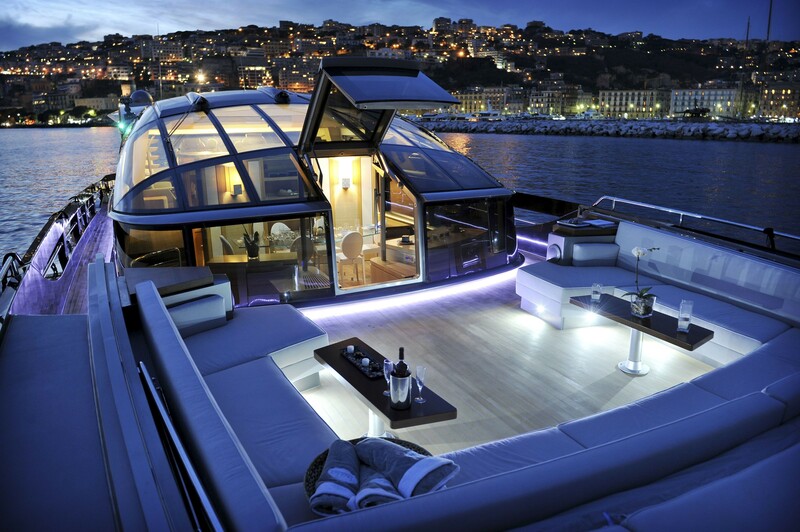 From stern to bow she offers one large "open air" living space. 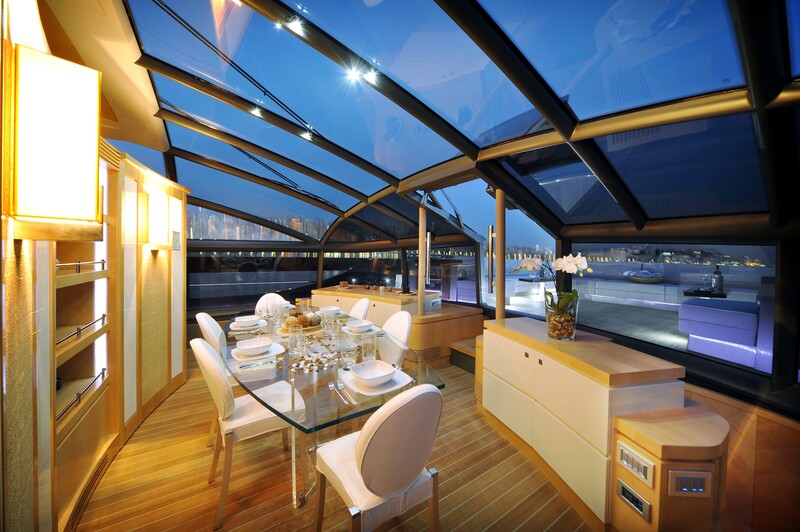 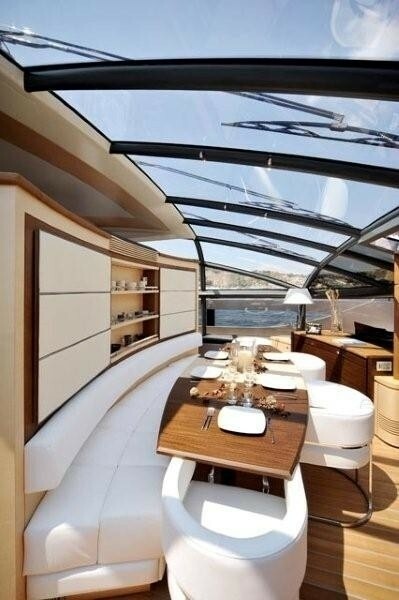 A large glass covered enclosure over the bridge flows onto the open deck space. 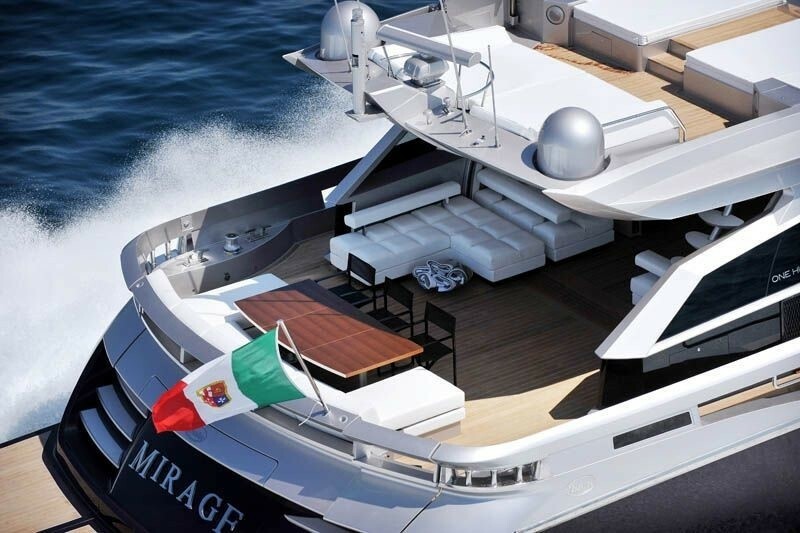 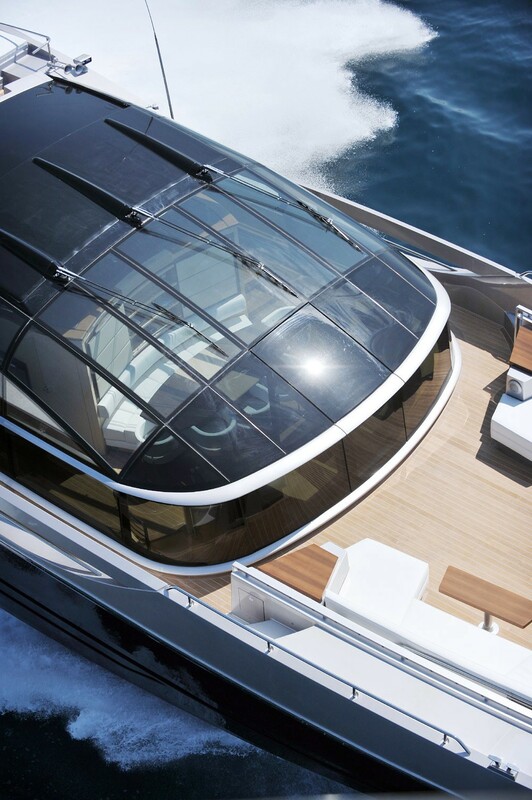 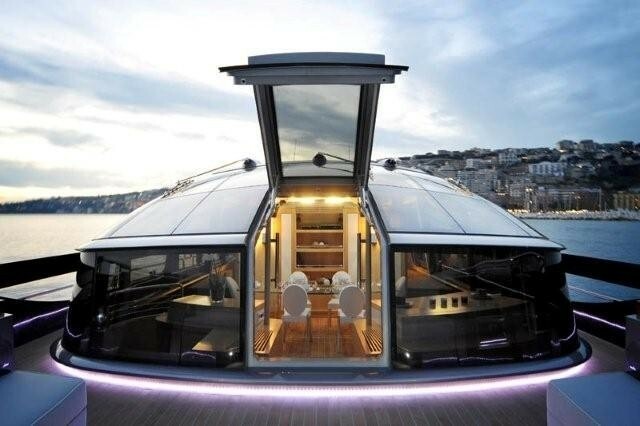 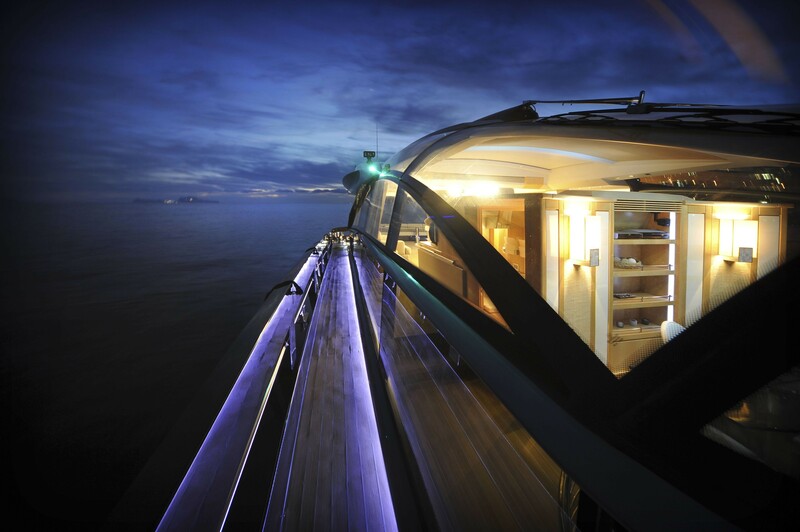 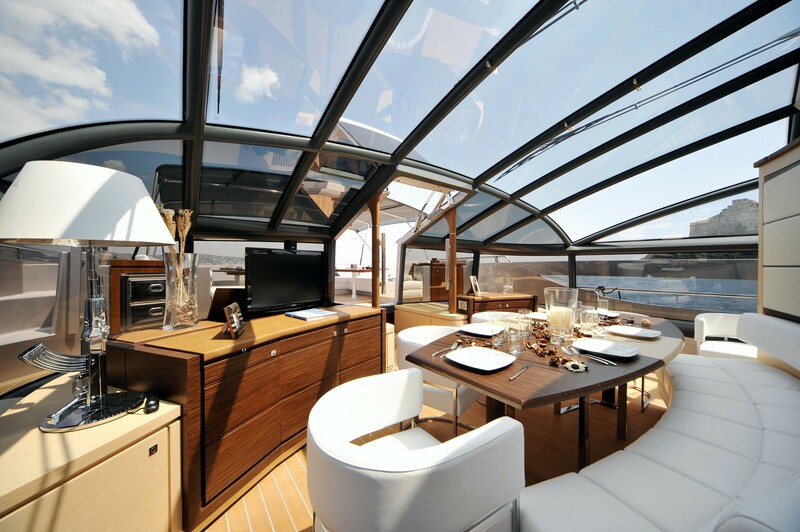 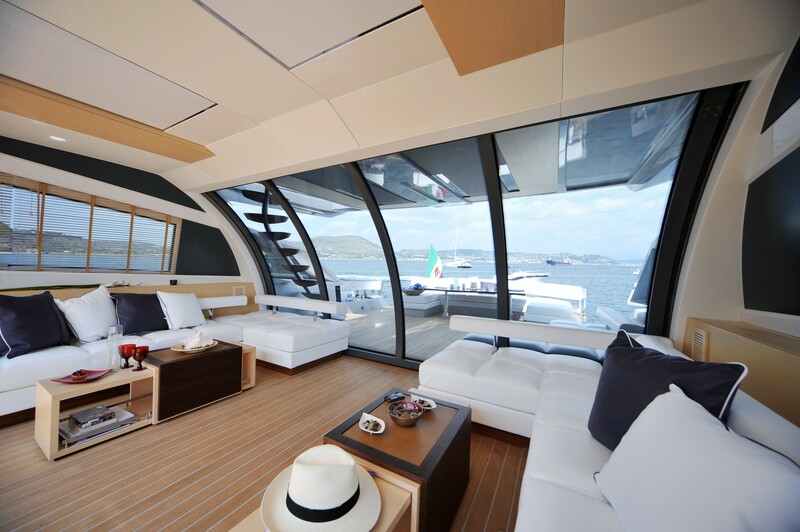 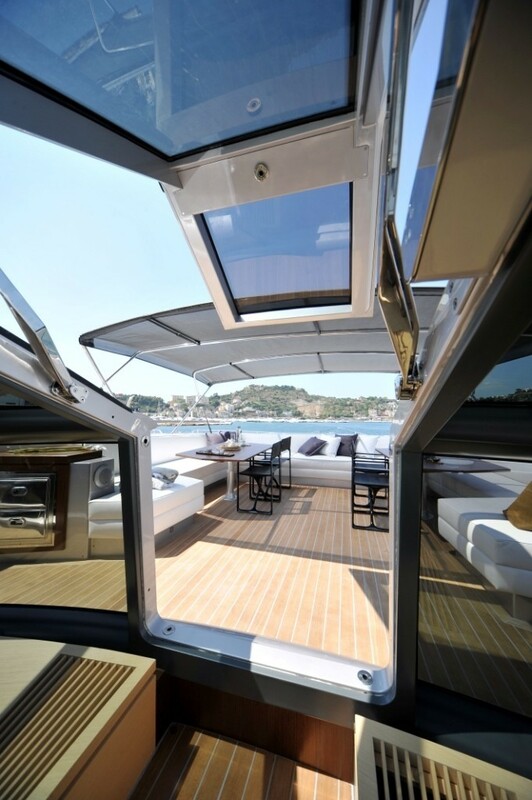 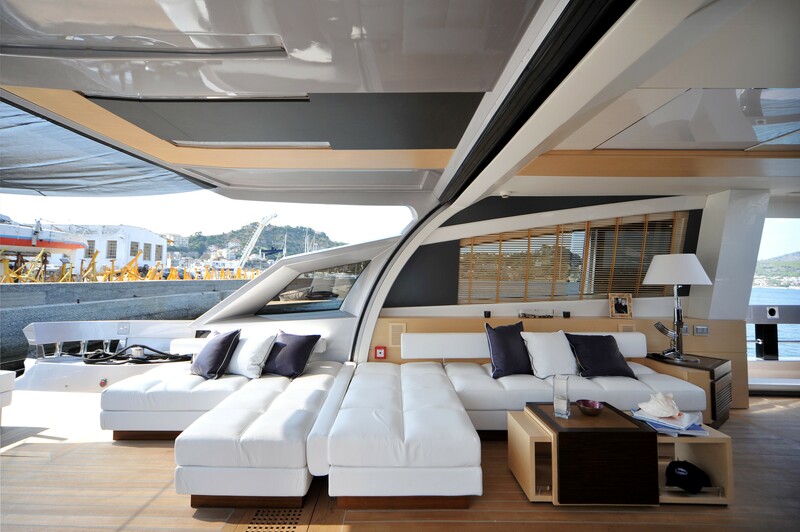 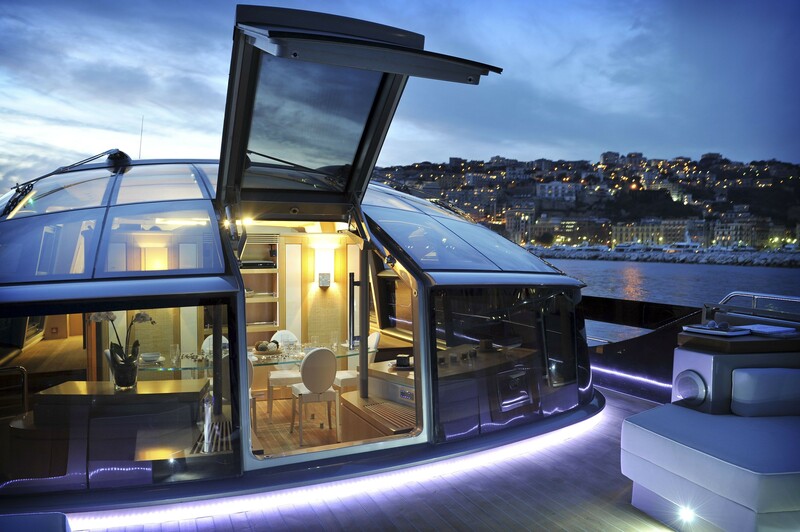 Her superstructure offers uninterrupted view with no visible divisions between exterior and interior living spaces while still allowing for protection from the elements via her glass folding aft doors, shown in the photos below. 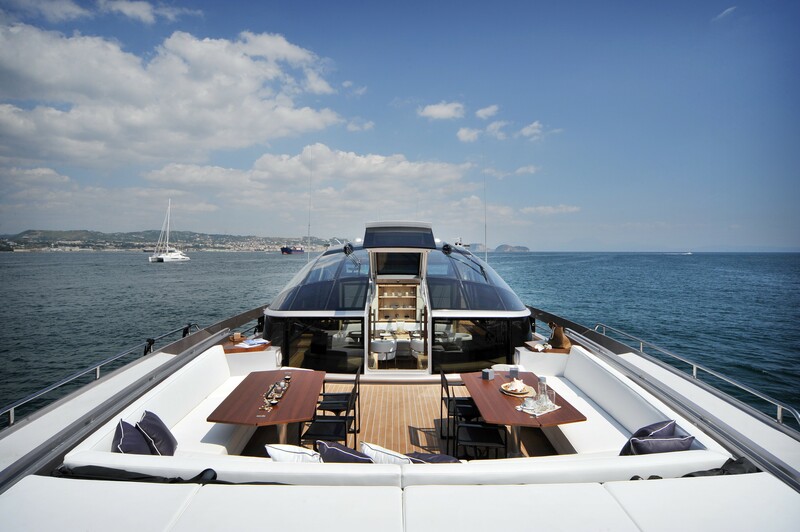 Motor yacht ASTRO offers the ultimate sports experience that will lead you to unexplored sensations of freedom and open space. 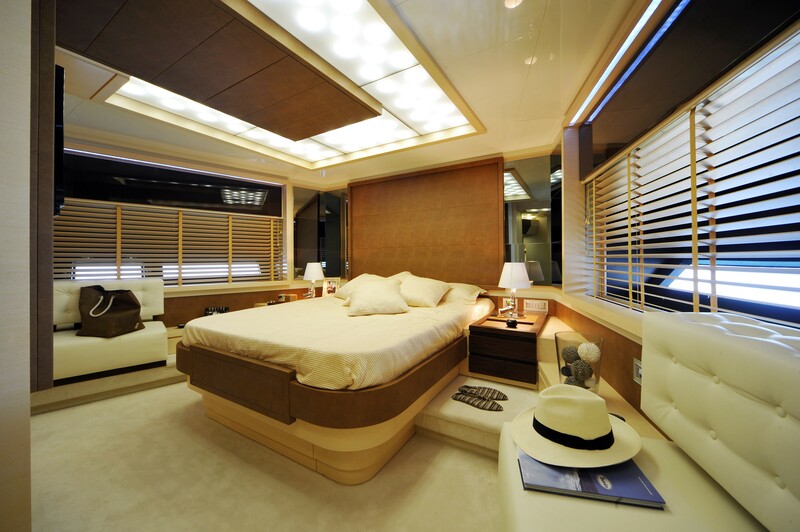 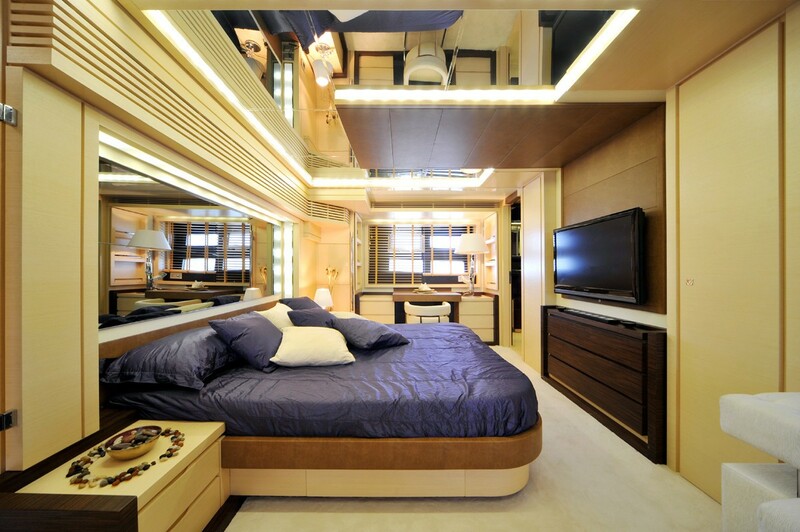 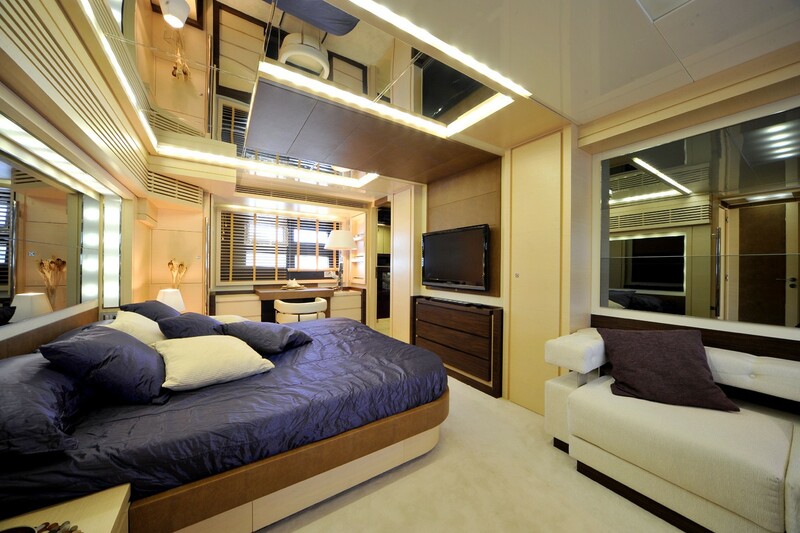 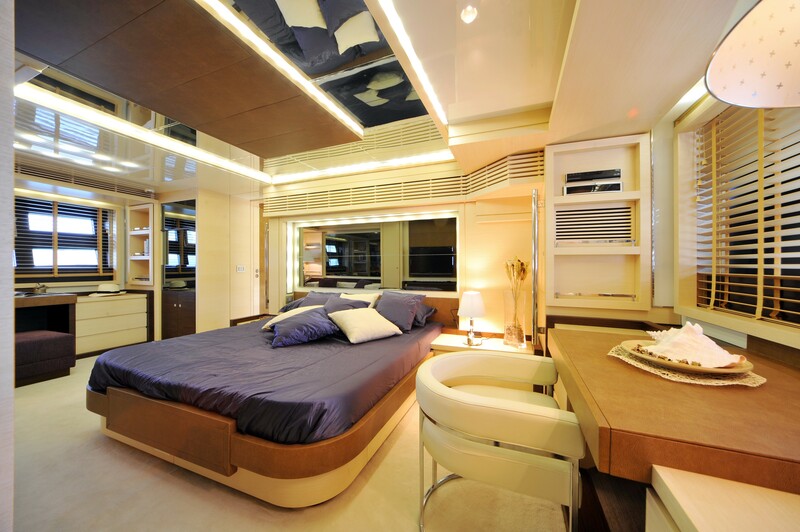 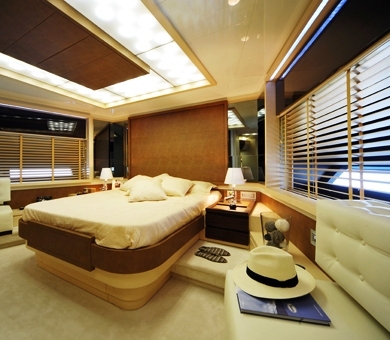 The accommodations below deck are also light and spacious. 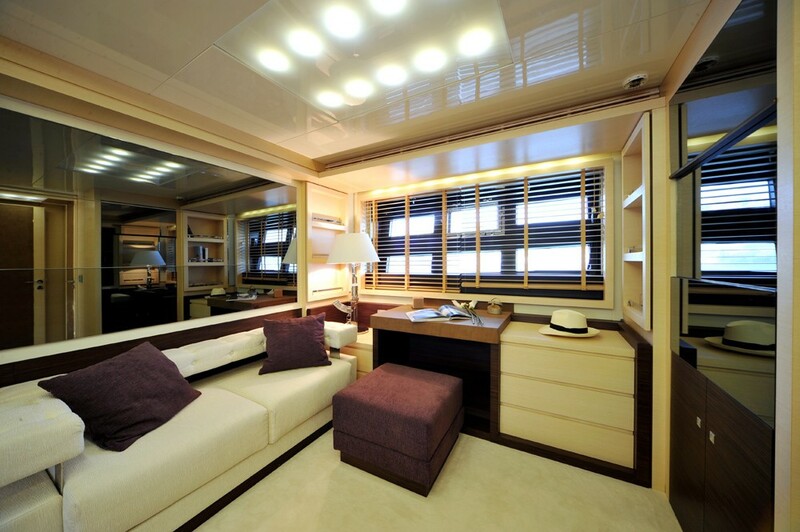 There is comfortable accommodation for up to 10 guests in 2 twin and 2 double cabins. 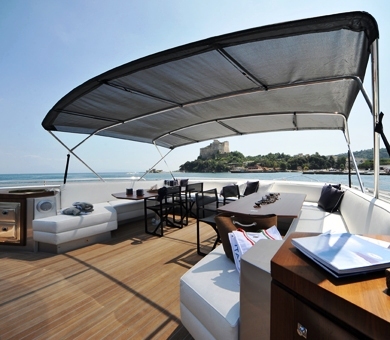 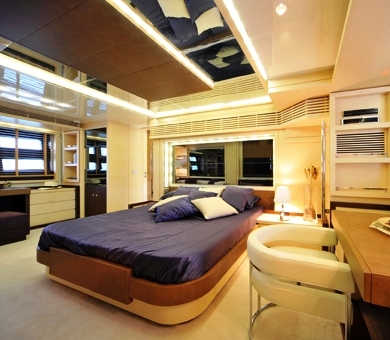 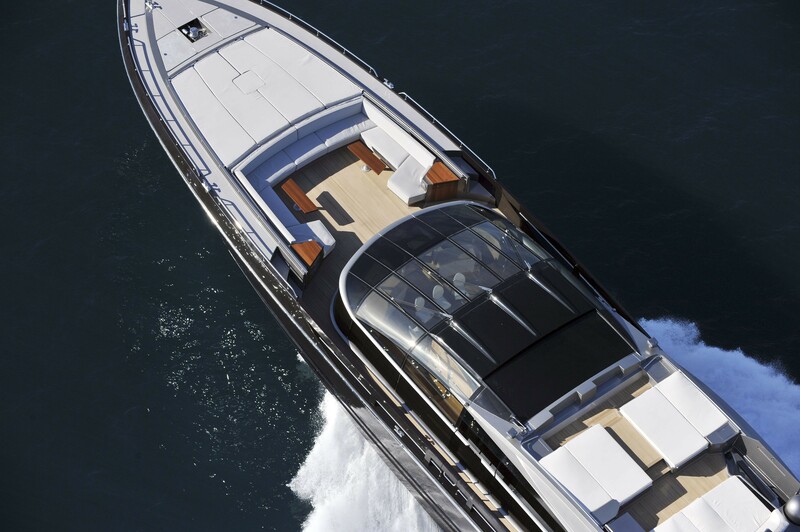 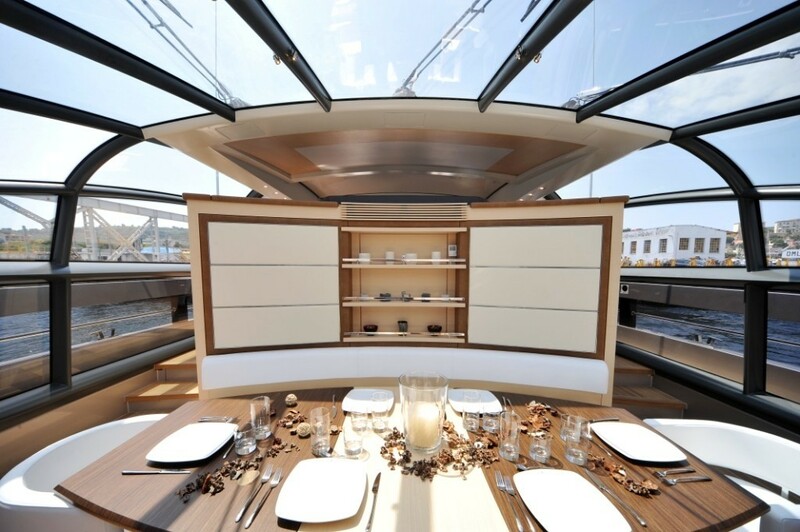 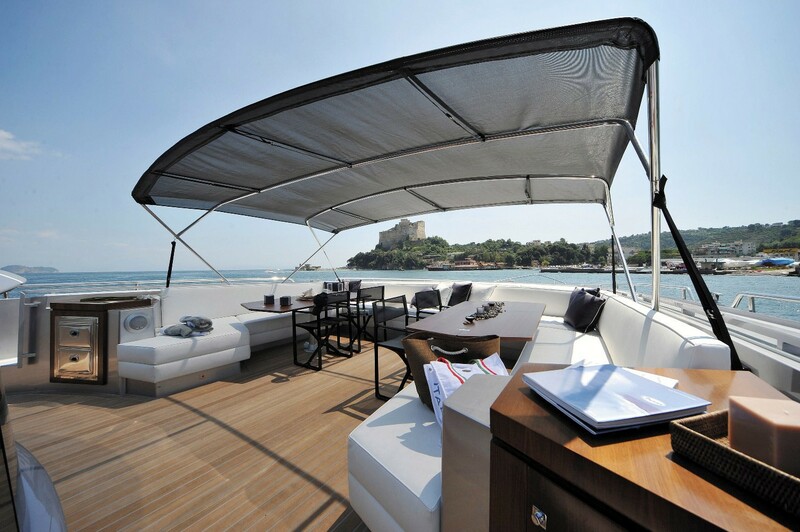 The Baia 100 ASTRO can accommodate up to 10 guests in 2 double and 2 twin cabins. 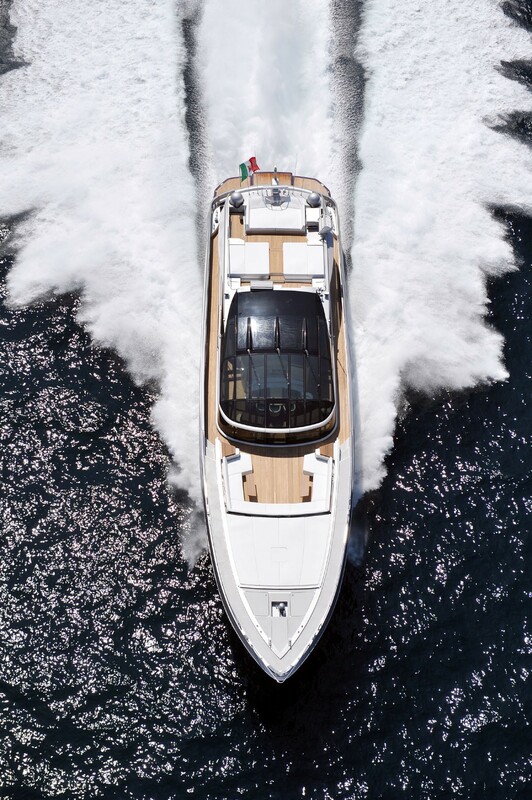 Luxury Baia motor yacht ASTRO has a great array of extra onboard including the following Tenders and Toys: A 4.5 m Tender Castoldi with jet engine 125 hp, Water skis, Wake board, Wind surfing, and Snorkelling and fishing equipment. 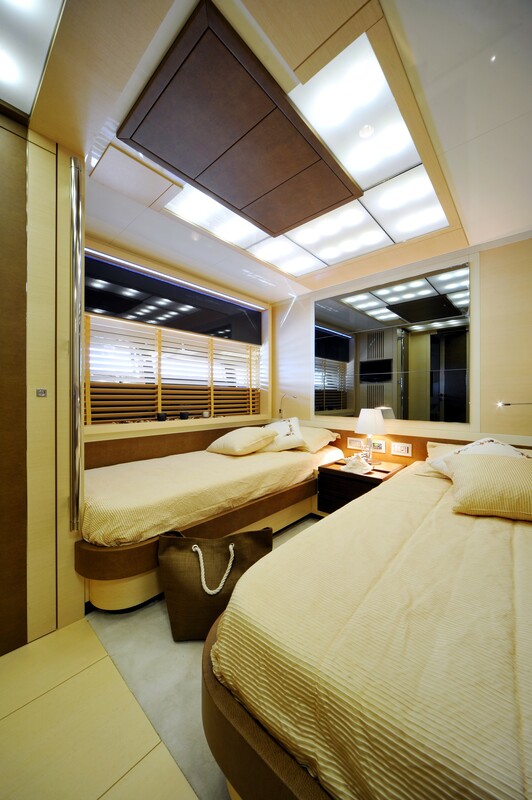 Communications onboard include Int./Ext. 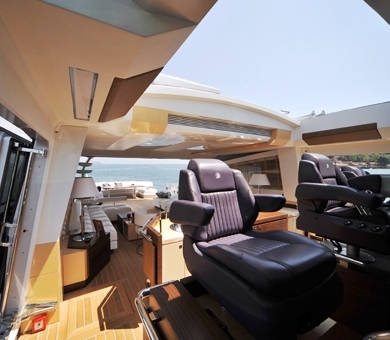 GSM intercom and phone system, GSM Phone Antenna, KVH 6 satellite Tv Antenna, KVH track phone system Mini M, Interphone in every ambience with cellular interface , “yachts office” equipped with Satellite Fax, laptop PC and Printer, Wi-Fi wireless internet connection in all areas of the boat. 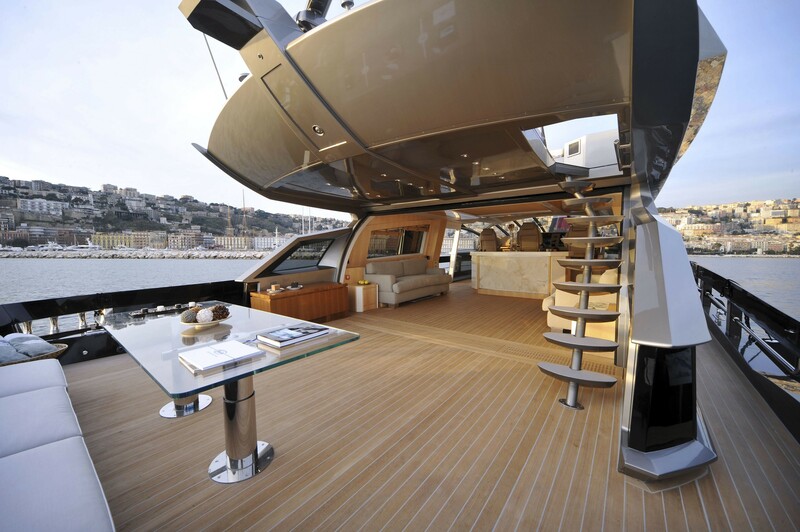 Audio Visual Equipment and Deck Facilities include a Main salon Flat TV with Satellite TV Channels and multi-region DVD player and Antenna, Outside and inside Bose Lifestyle stereo system. 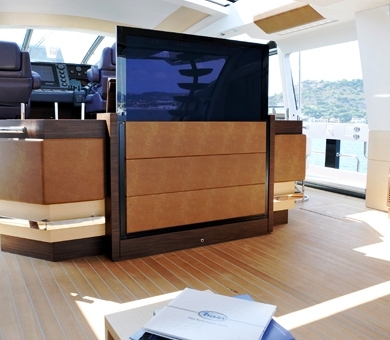 HI-Fi System in all cabins, LCD TVs in every cabin connected to wide range of Satellite TV Channels ant the DVD player in saloon, Aft Sunshade, Fibreglass swimming platform with teak covering, Hard Top with electrical opening sun roof, Hideaway main door from cockpit to deck living area, Foreword sun beds, sound systems and dinning with sunshade, Fly bridge with sun beds, sound system and helm.